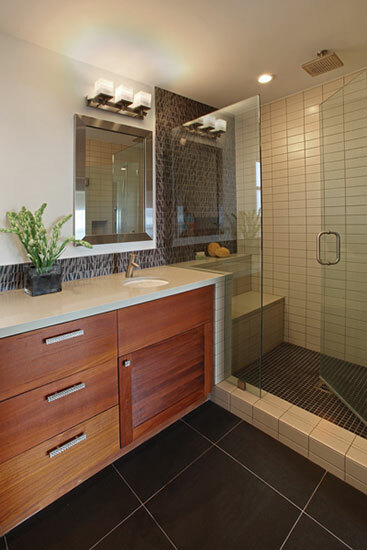 This ocean view townhome renovation, inspired by a Hawaiian Spa Hotel vibe, combines rich materials with simple shapes. All functions are planned to overlap where possible to make these small spaces feel luxurious. Each piece of furniture and each design element is carefully curated to serve the greater architectural composition.